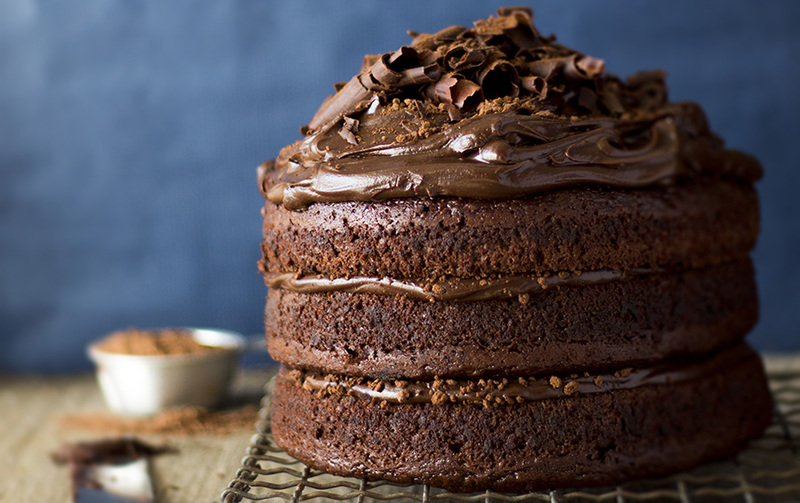 This chocolate cake recipe is legendary in the Williams household. It was the first thing I learnt to bake, probably the only reason we owned a microwave and definitely one of the last things I want to eat on this earth. 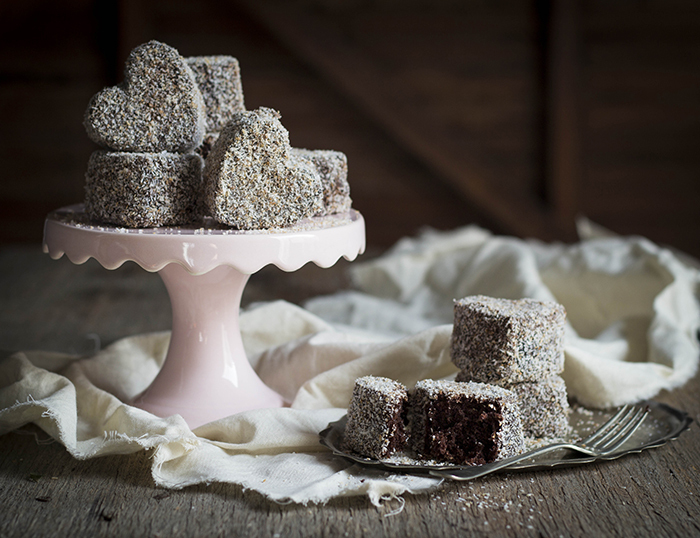 The sponge is light as a feather and has been layered into birthday cakes, baked into a bundt and glazed with chocolate icing for bible studies, and poured into slabs and topped with swirls of tinned caramel for school fundraisers. 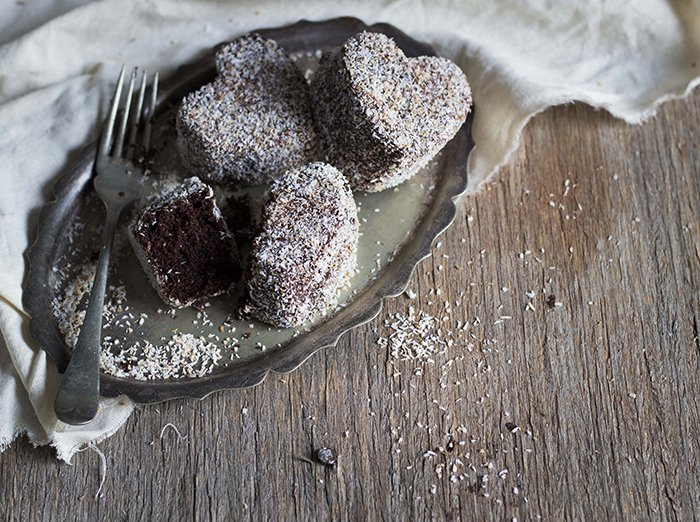 It can be a cupcake, a swiss roll – and now, a lamington! The recipe is really so easy that I’ve memorised it. Which is pretty handy, you know for cake emergencies and all. 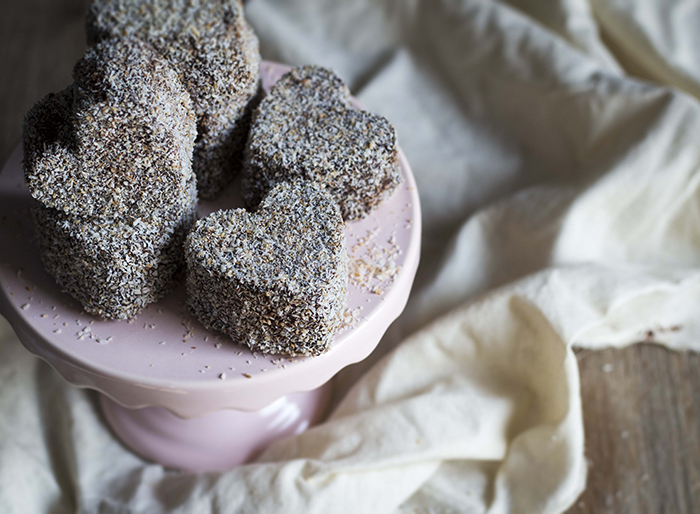 I’ve made mine pretty (‘cos I love pretty things – yes, even my lamingtons) by baking them in heart-shaped silicone moulds which you can buy super-cheap nowadays but you can simply bake the batter in a silicone muffin tray, or a microwave-safe dish and then cut them out with cutters or keep them in blocks. 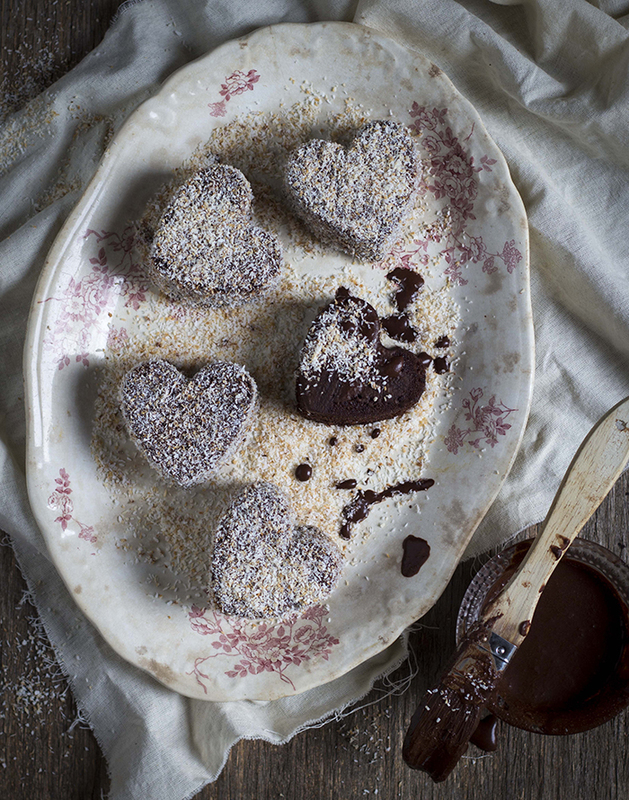 These are the classic lamington flavour (chocolate and coconut) but I will mention that my intention was to give them a tart twist by stuffing the insides with a raspberry sauce. But I was craving the classic and they tasted just too darn good on their own. You can be more creative than I was and sandwich the cake together with jam, or caramel(!) or flavour the dipping glaze with coffee or liqueuer. Divide the batter between silicone heart moulds (or whichever you desire) sprayed with cooking spray – don’t fill more than halfway as the cake mix expands quite a bit. Now pop the moulds into the microwave and microwave on full power/high for 2-3 minutes or until the cake springs back when you touch it in. Remove from the microwave and allow to cool slightly before unmoulding. Continue with the rest of the batter. 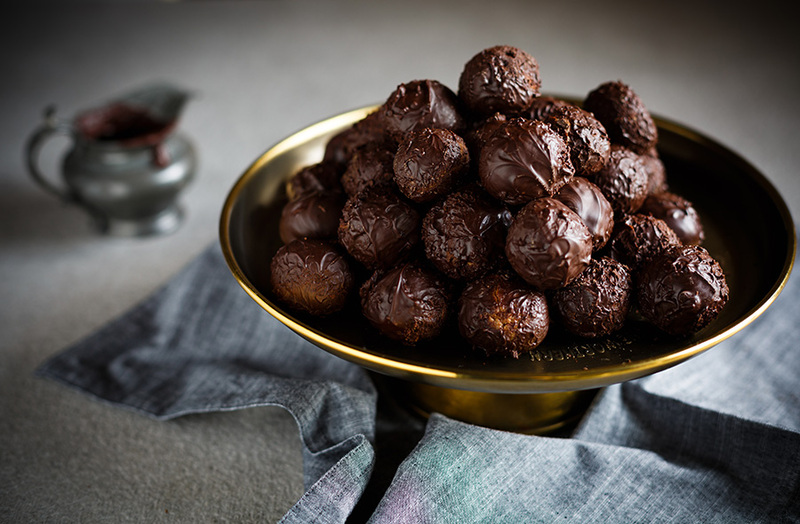 While the cakes are cooling, make the glaze by placing all the ingredients in a small microwave safe bowl and heat gently until melted and glossy. Allow to cool. 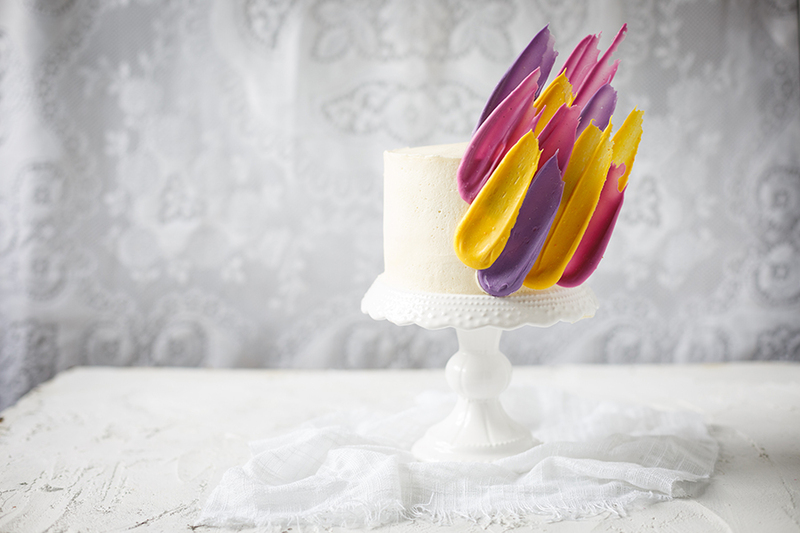 When the cakes and glaze are completely cool, use a pastry brush to paint the glaze onto the cakes then toss in the toasted coconut. TIP If your silicone tray doesn’t fit in your microwave (mine didn’t), cut it in half – the cakes will cook more evenly too. if i wanted to make them pink or blue, what would you suggest i use in place of the cocoa powder and the chocolate in the glaze? 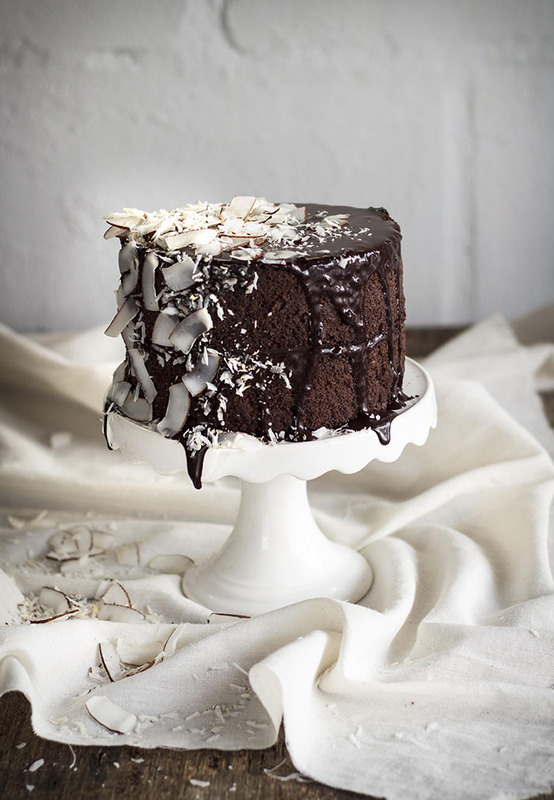 If I wanted to make this as a normal round cake in the oven, do I have to alter the recipe at all, and do I share the batter amongst 3 rounds or do I double this recipe and cook it in 4 rounds?